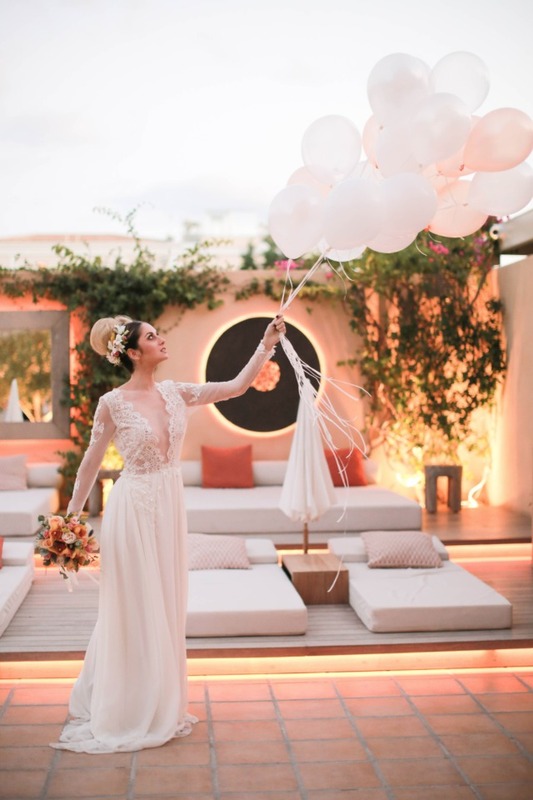 Whimsy comes in multiple forms, and today it is getting edgy by the pool with this peach yellow and grey shoot in Greece! 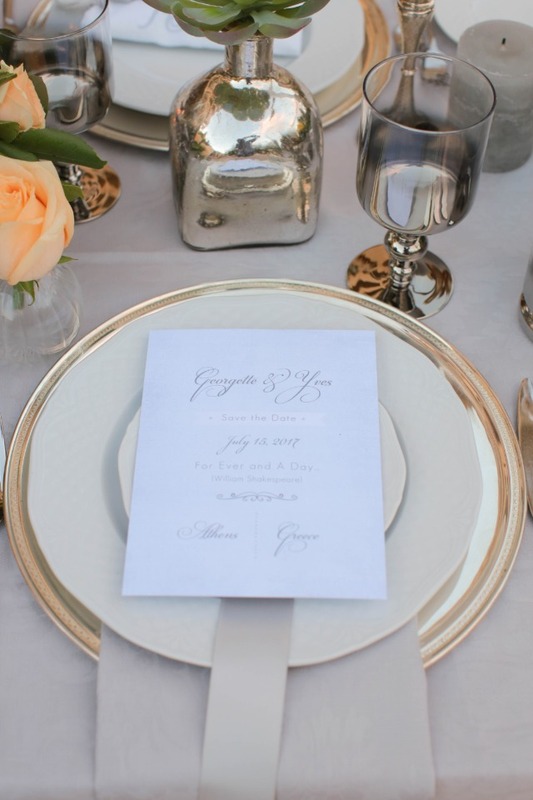 Light and bright colors pair up with a monochromatic gray to bring vibrant life to a gorgeous tablescape. 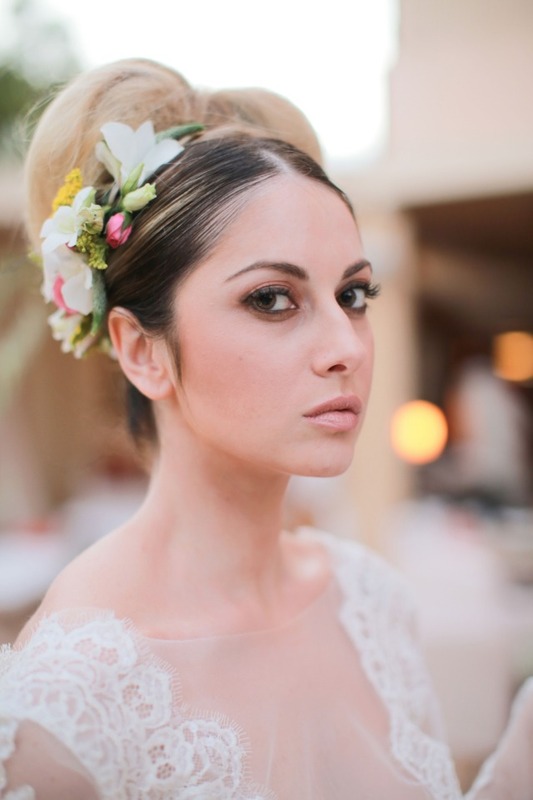 Oh and let's not forget that stunningly risque wedding dress by Christine & Joe Fashion Designer! That plunging V neckline scalloped by delicate lace has us positively breathless. 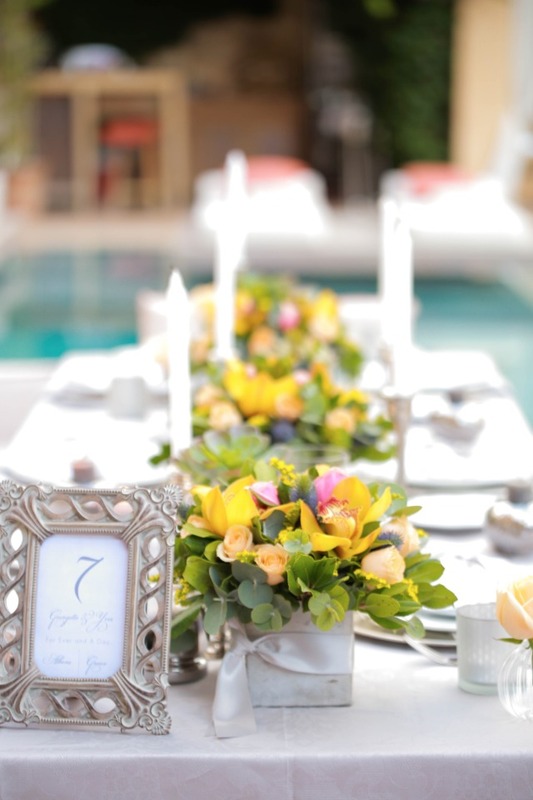 Be sure to see even more of this inspiration brought to life by Style Concept Event Solutions by visiting the full gallery. 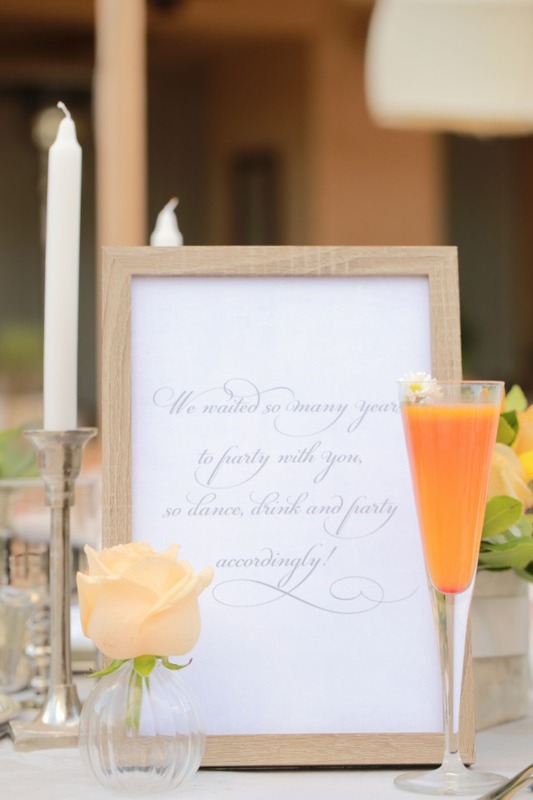 It is packed with even more lovely images from George Ladas! 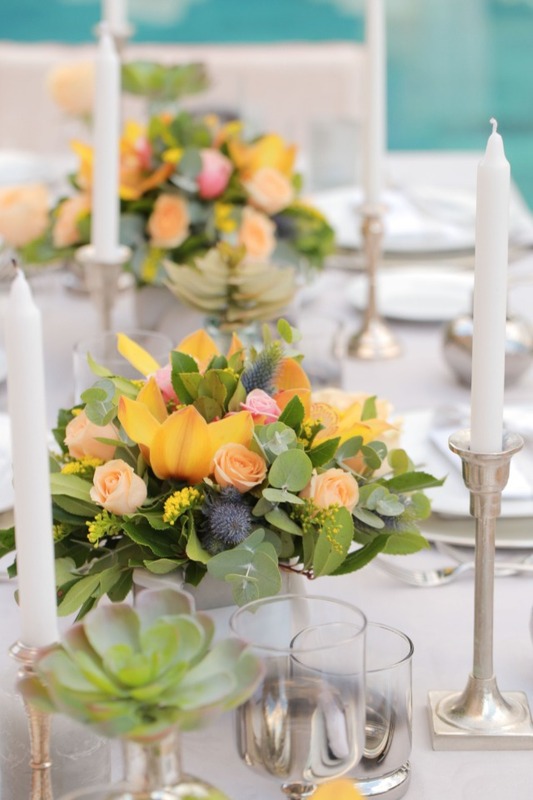 A colorful and minimal inspiration based on the pastel base of grey and the bright explosion of peach and yellow flower arrangements. 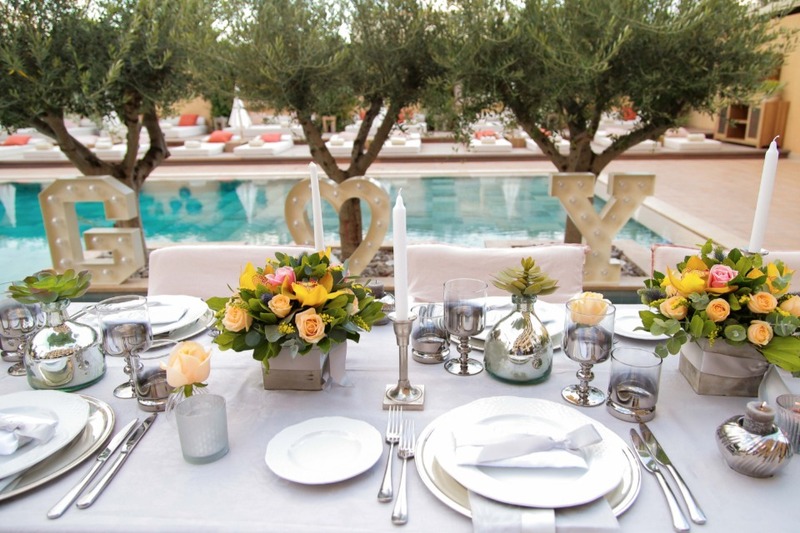 The location is the pool area of The Margi, a classy boutique hotel at the Athens Riviera. 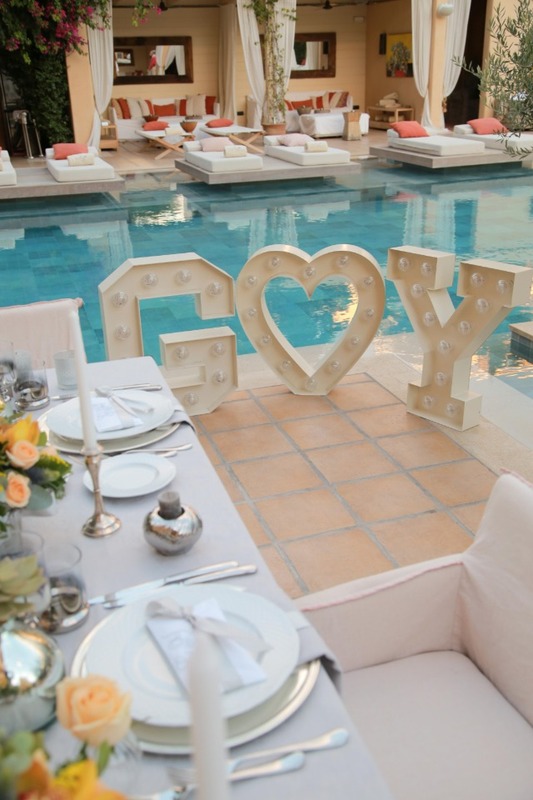 The concept was conceived by Nena Papadopoulou of Style Concept aiming to project an elegant yet playful aspect of the wedding. 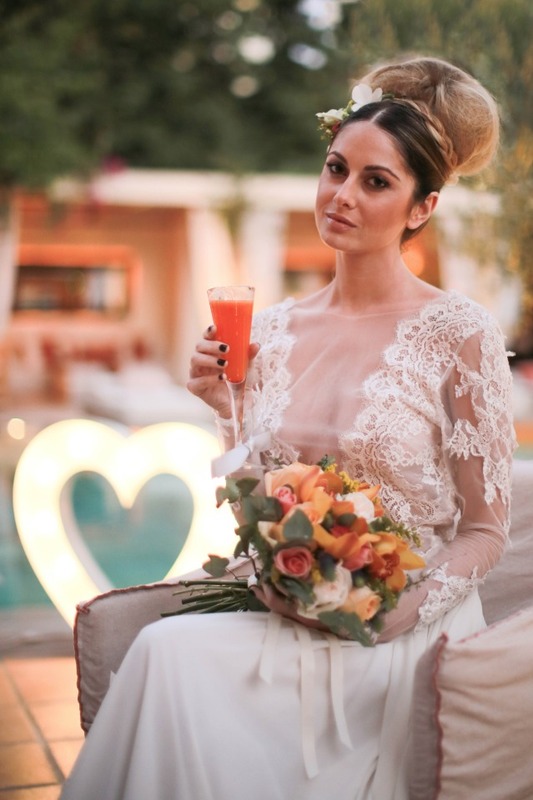 The beautiful wedding dress with the transparent and lace details as well as the eccentric hairstyle contribute to the stylish side of the concept. 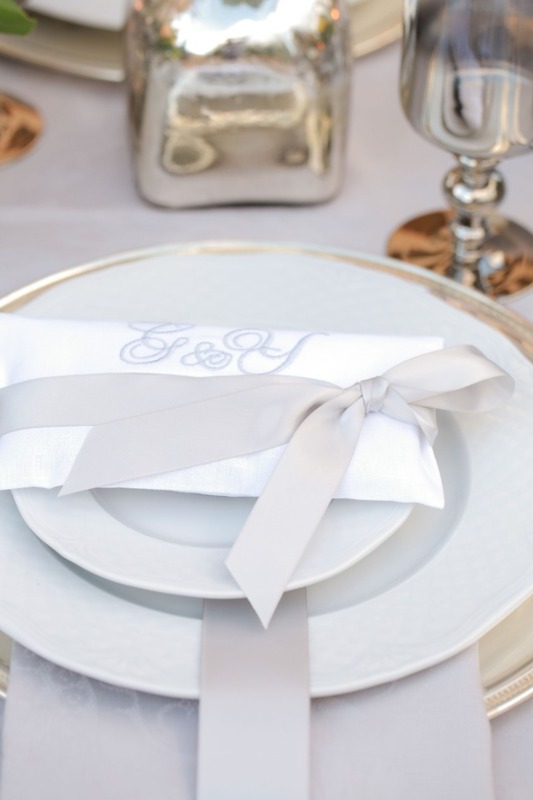 The wedding monograms are embroidered in grey on the handmade favors matching the total color palette.